Every vehicle has a unique VIN. Enter a VIN to learn if a specific vehicle needs to be repaired as part of a recall. You can also contact our Vehicle Safety Hotline at 1-888-327-4236 for assistance. We apologize for any inconvenience and thank you for your patience. 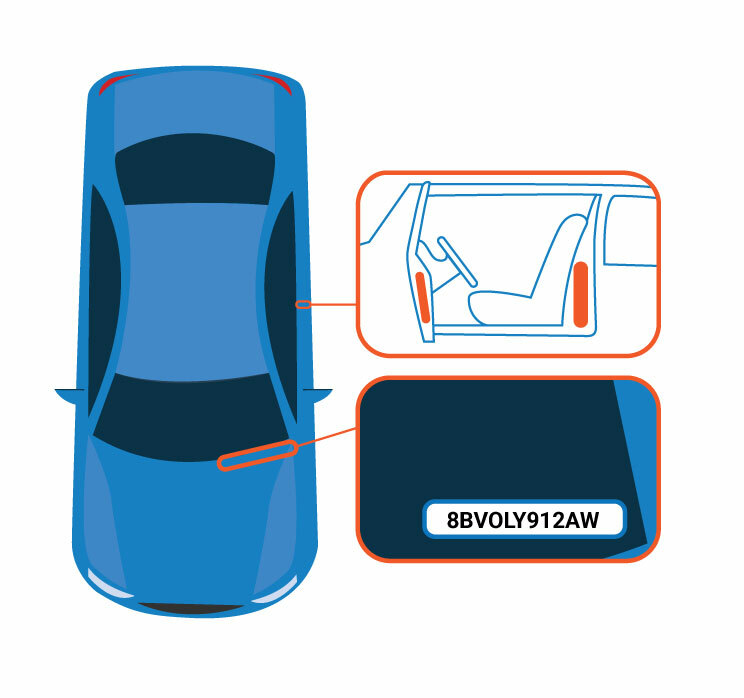 Look on the lower left of your car's windshield for your 17-character Vehicle Identification Number. Your VIN is also located on your car's registration card, and it may be shown on your insurance card. Vehicle safety recalls conducted by major light auto automakers, including motorcycle manufacturers. Also search by NHTSA ID or complaints by keyword. What happens to my complaint? Your complaint fuels our work. Learn about the different steps that lead to recalls and safer vehicles. NHTSA issues vehicle safety standards and requires manufacturers to recall vehicles and equipment's that have safety-related defects. Learn about NHTSA's recall process. Reporting your problem is the important first step. Your complaint will be added to a public NHTSA database after personally identifying information is removed. If the agency receives similar reports from a number of people about the same product, this could indicate that a safety-related defect may exist that would warrant the opening of an investigation. Report a problem with your vehicle, tires, car seats or other equipment. We review every problem as we work to keep our roads safe. NHTSA conducts an investigation from reported complaints. NHTSA reviews filed complaints from vehicle owners and other information related to alleged defects to decide whether to open an investigation. NHTSA conducts an analysis of any petitions calling for defect investigations. If the petition is denied, the reasons for the denial are published in the Federal Register. NHTSA opens an investigation of alleged safety defects. It is closed when they notify the manufacturer of recall recommendations or they don’t identify a safety-related defect. Initiated safety recalls require a manufacturer's action to announce and remedy the defects. A recall is issued when a manufacturer or NHTSA determines that a vehicle, equipment, car seat, or tire creates an unreasonable safety risk or fails to meet minimum safety standards. Most decisions to conduct a recall and remedy a safety defect are made voluntarily by manufacturers prior to any involvement by NHTSA. Manufacturers are required to fix the problem by repairing it, replacing it, offering a refund, or in rare cases repurchasing the vehicle. Using our VIN lookup tool, you can access recall information provided by the manufacturer conducting the recall which may be not posted yet on NHTSA’s site. Recalls Spotlight monitors high-profile recalls and offers consumers resources to find and address vehicle recalls. Download this brochure to get more information about how and why recall campaigns are initiated, and to know your rights and responsibilities when a vehicle or item of motor vehicle equipment is recalled. Manufacturers will notify registered owners by first class mail within 60 days of notifying NHTSA of a recall decision. Manufacturers should offer a proper remedy to the owner. NHTSA will monitor each safety recall to make sure owners receive safe, free, and effective remedies from manufacturers according to the Safety Act and Federal regulations. You’ll be notified via mail from the manufacturer. When you receive a notification, follow any interim safety guidance provided by the manufacturer and contact your local dealership to fix the recalled part for free. Register your vehicle, tires, car seats & equipment and check recalls twice a year. Know if there is a safety problem with your vehicles, tires or car seat, and how to get it fixed.